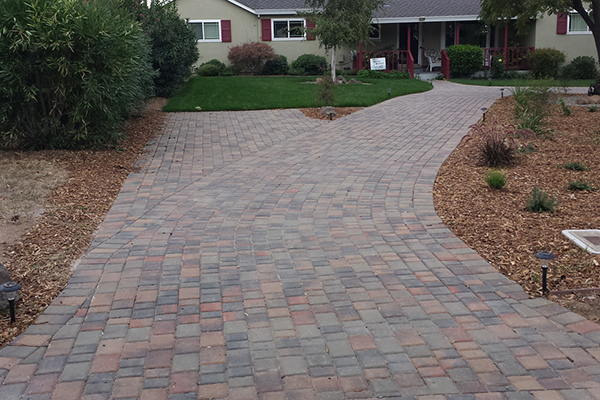 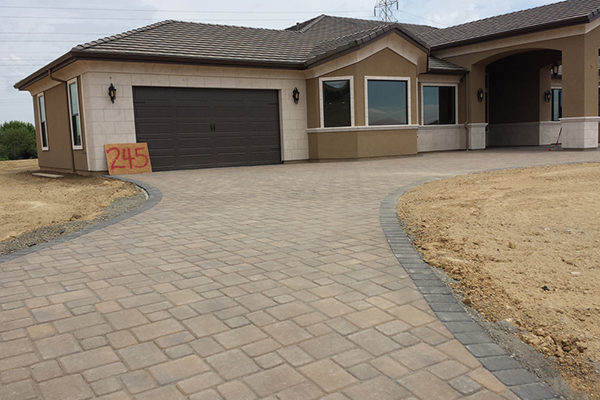 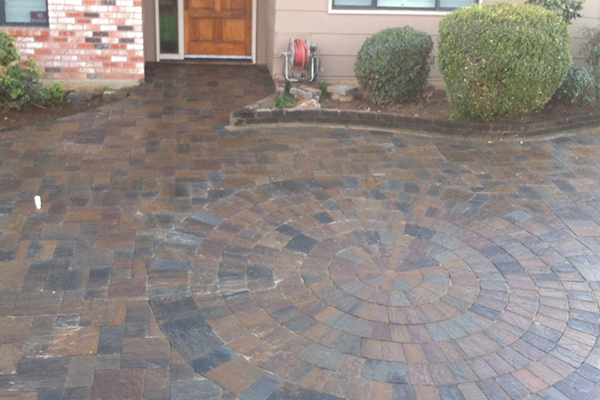 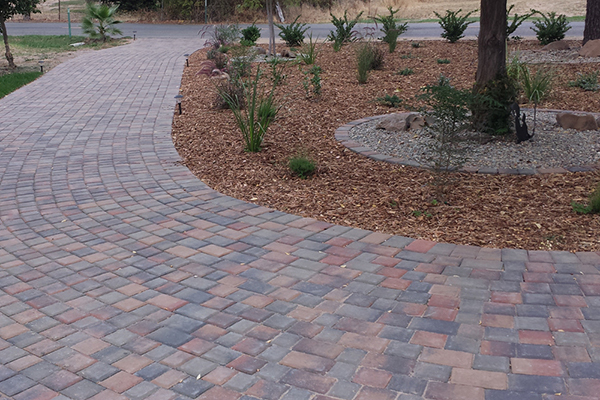 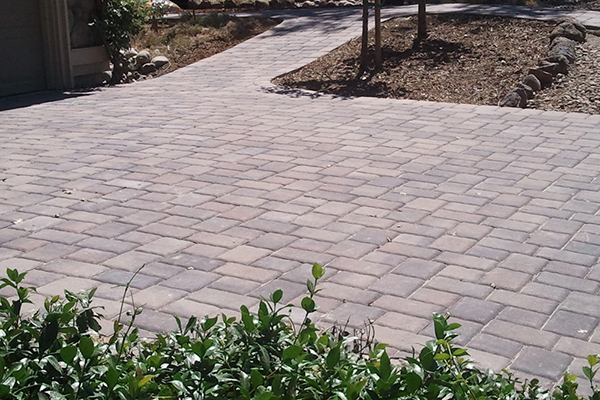 Could your landscape design use some updating with Paver Stones? 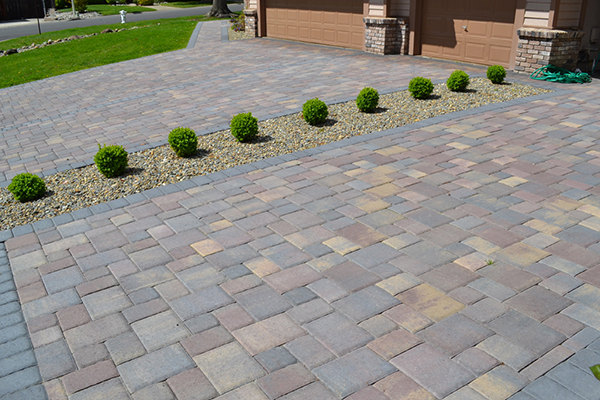 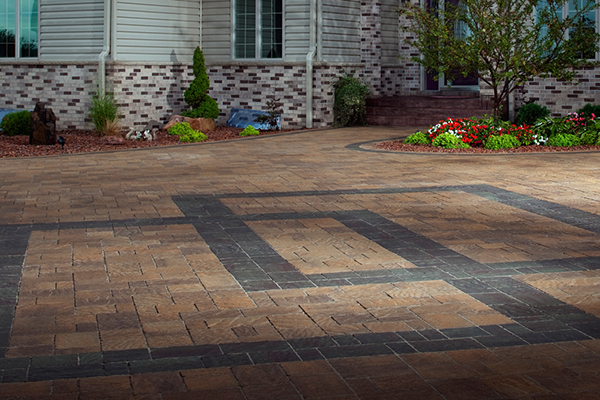 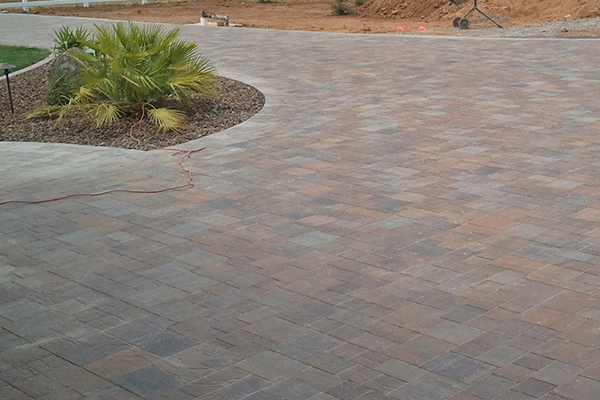 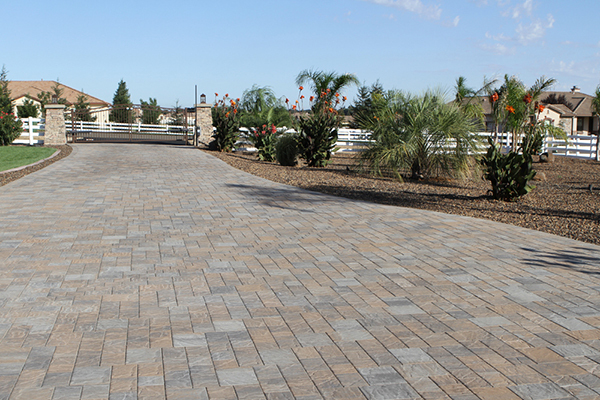 If you are looking to add in a landscape element that is low-maintenance, and will not lose its beauty over time, we have exactly the solution for you at The Paver Company. 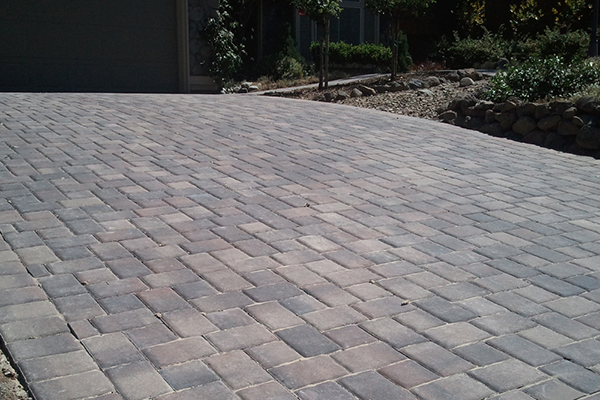 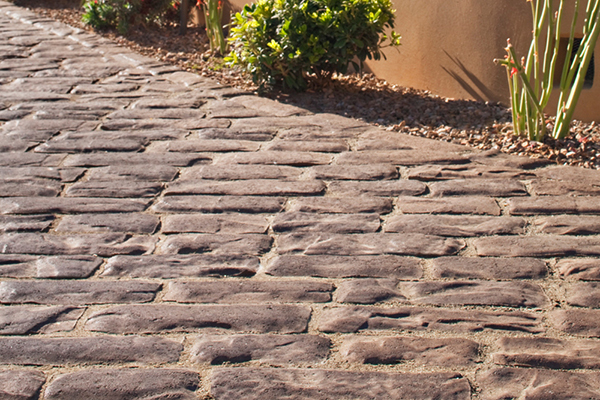 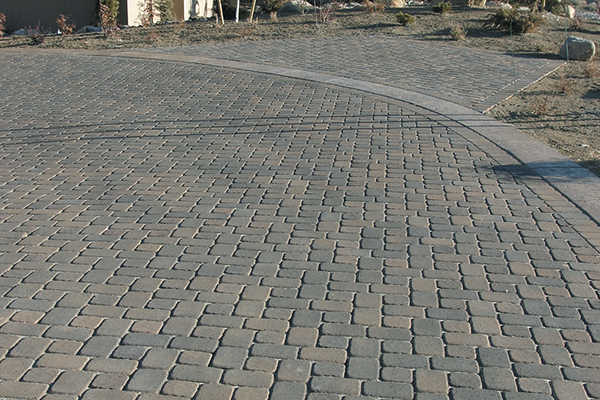 Paving stones are an excellent choice for walkways, patios, and driveways, and is much easier to maintain than concrete. 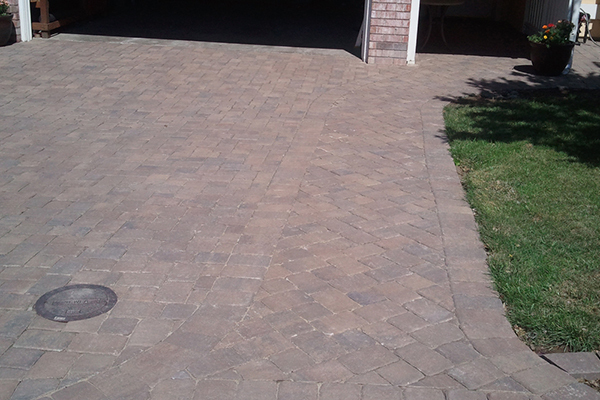 With concrete, repairs and maintenance leave an ugly patch, and this ruins the overall look. 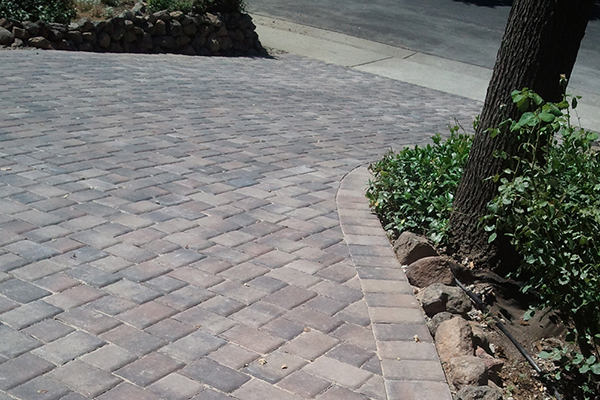 In the future, you will have to deal with a weak spot and repeat repairs. 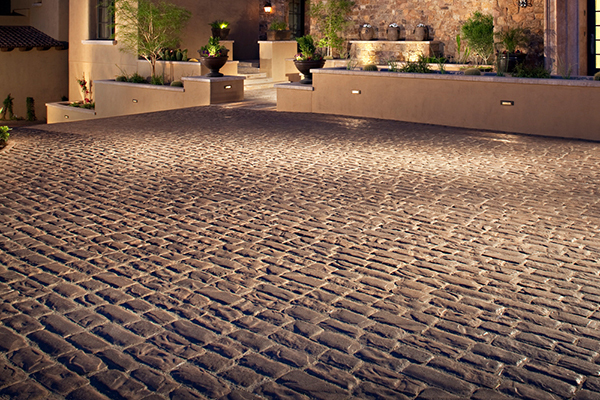 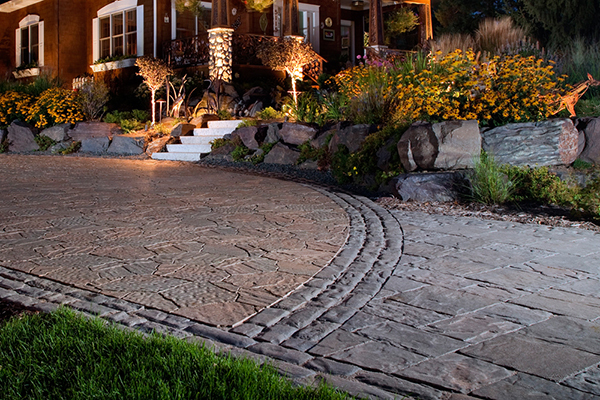 Instead, paving stones are definitely the best material to choose from when adding to your landscape design. 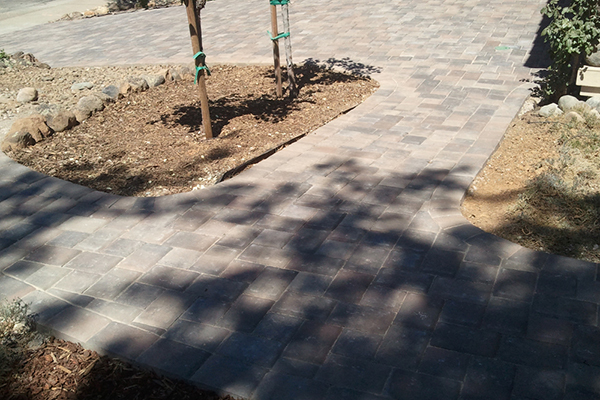 With paving stones, you have a highly versatile tool that can be used for many landscaping needs. 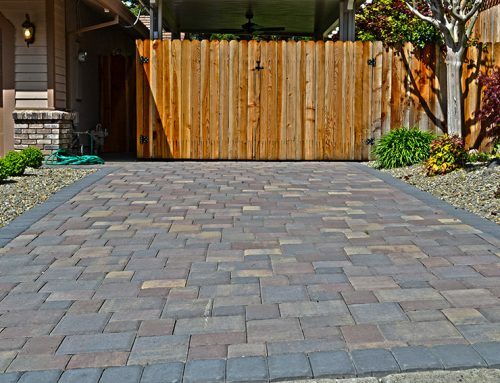 For instance, you can use a paving stone to make your retaining walls, stepping stones, raised beds, flower beds, pool decks and hot tub areas, outdoor stairways, flower beds, and driveways. 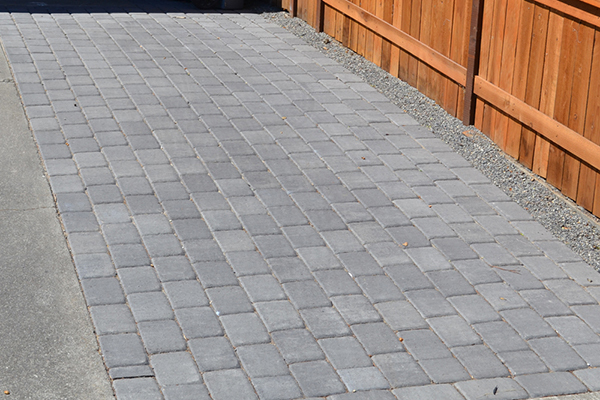 Another benefit of paving stone is that it retains its strength and beauty even when the ground shifts, which is important in earthquake-prone Sacramento. 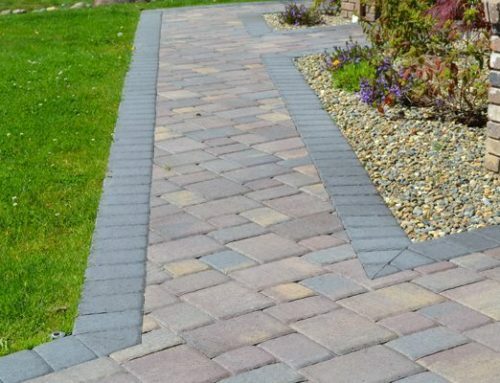 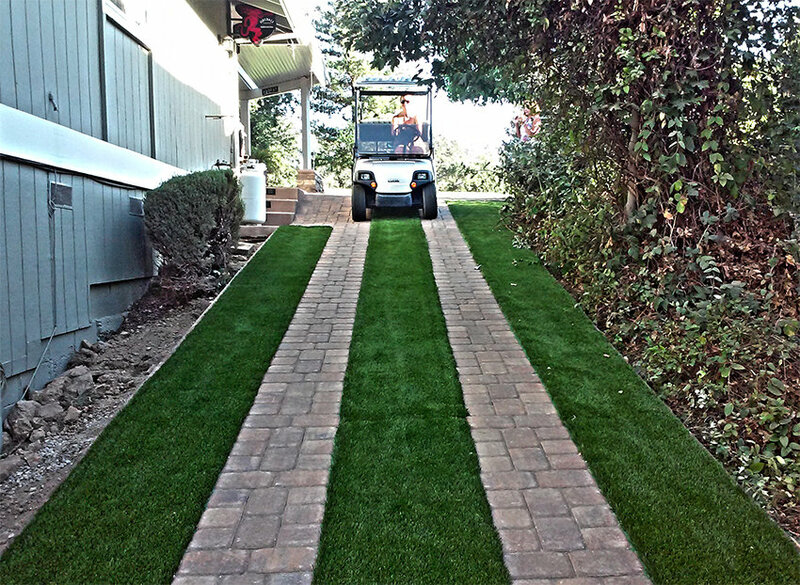 The driveway is definitely the item that takes the most abuse, of all the elements in an outdoor landscape and decorating scheme, and must, therefore, be chosen with extreme care. 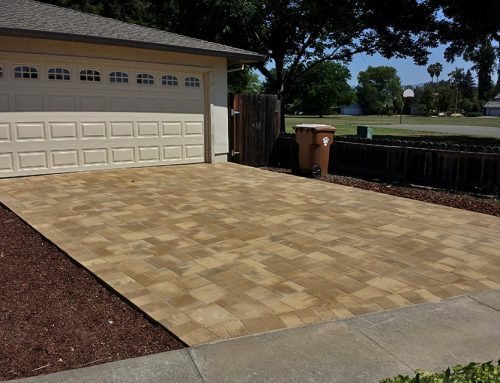 If you have a concrete driveway at your home, you are probably aware of how easily a driveway can begin to crack and wear because of the heavy cars that drive and park on it every day. 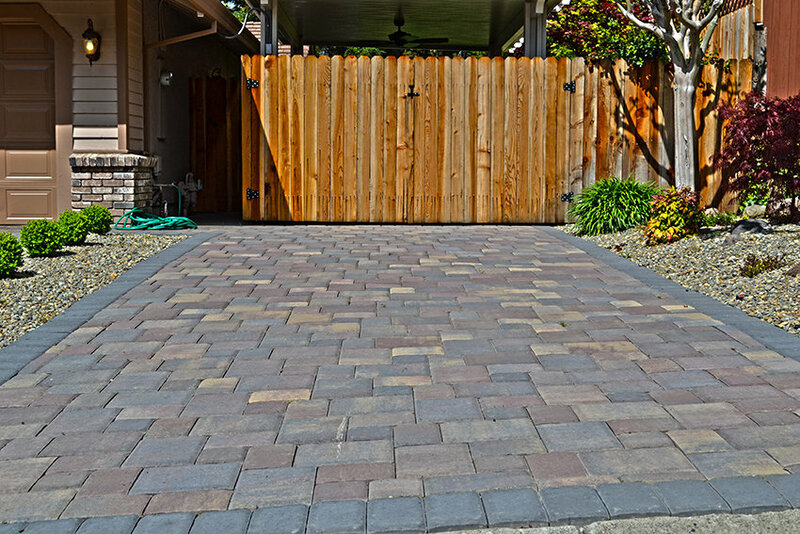 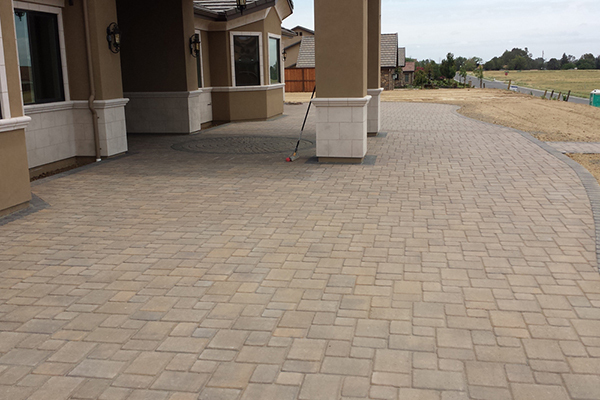 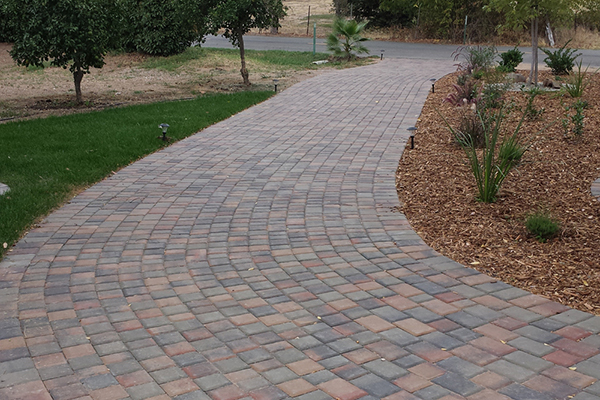 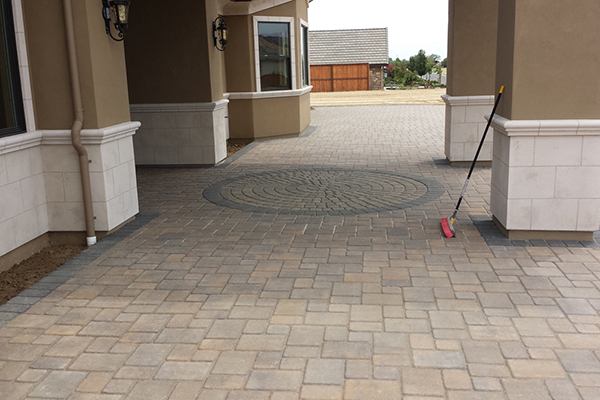 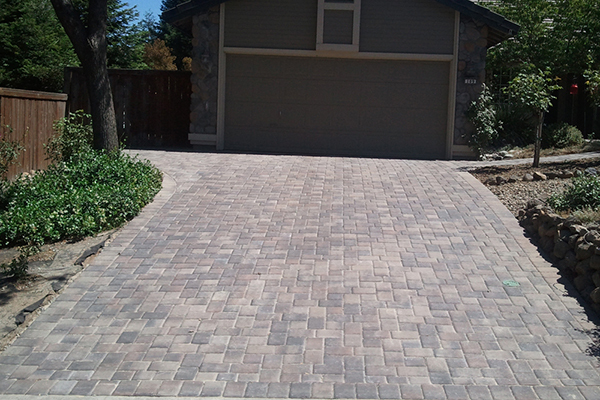 There are many important things you will need to take into consideration when choosing a paving stone walkway for your Sacramento, CA home. 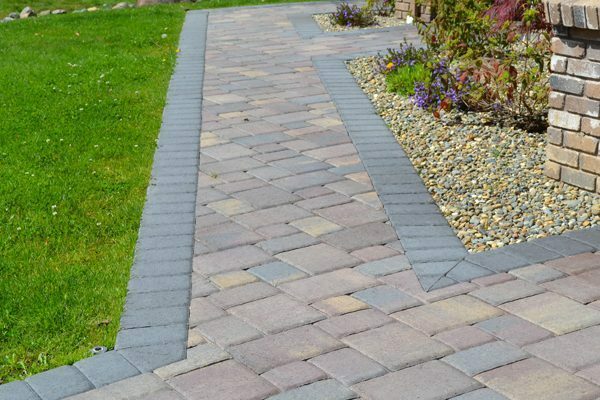 A major aesthetic point of your landscaping and outdoor design will be made up by the paving stone walkway treatment you choose. 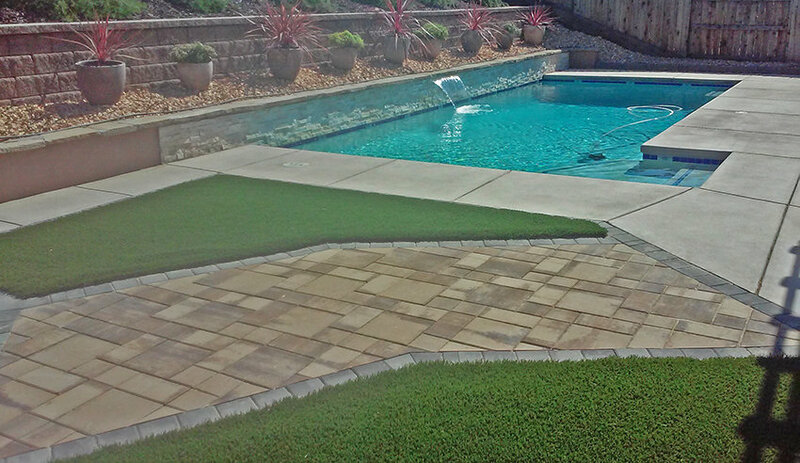 There are a wide variety of materials you can choose from when designing your pool deck, and you will need to think carefully about your needs before making a choice. 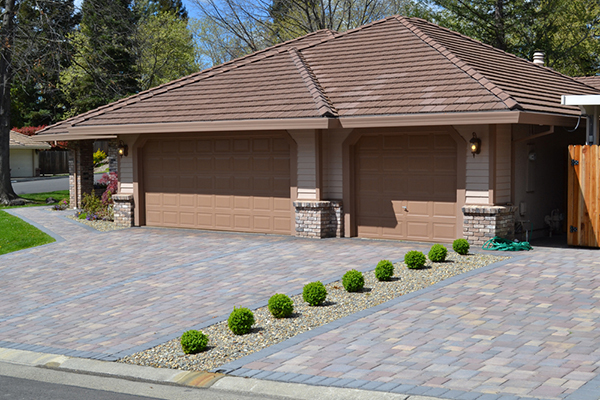 Some popular choices are wood, concrete, and other building materials. 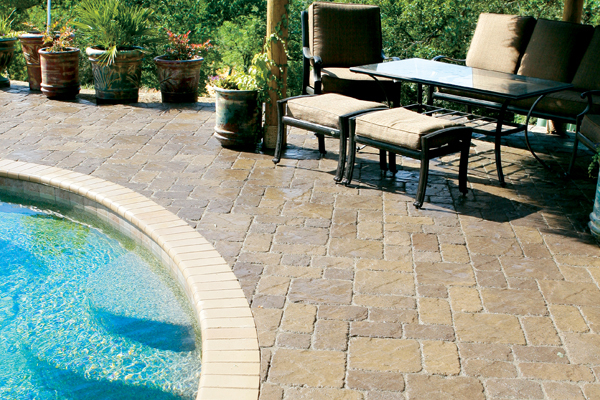 One of the most stylish and versatile options is a paving stone pool deck. 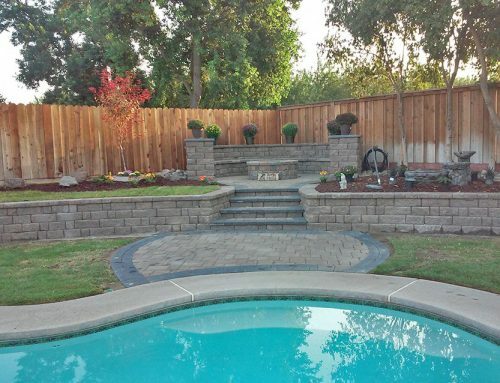 For many homeowners in the Roseville, CA area, their patio is a point of pride, and a place where they can entertain their guests, or simply enjoy the beautiful weather during evenings and mornings. 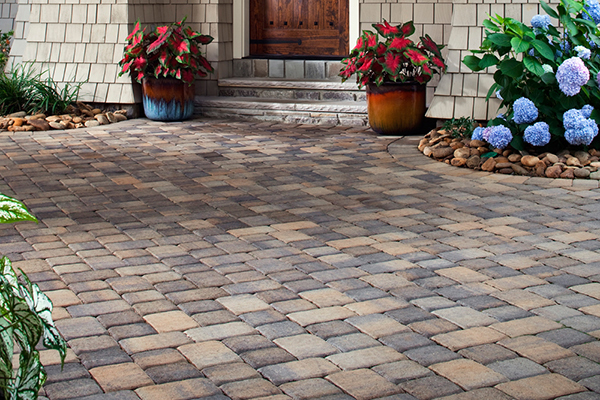 Because of its many uses, a patio is often considered to be the ultimate in outdoor landscaping and decoration. 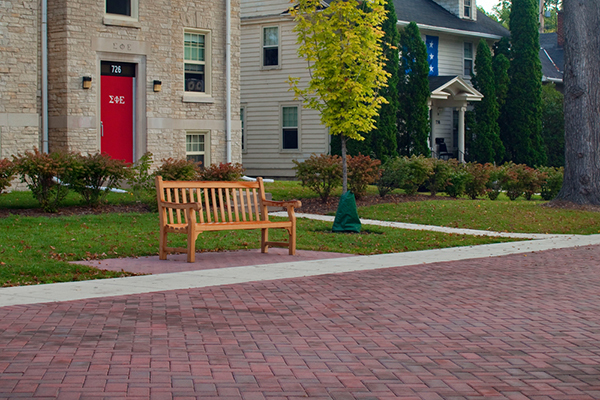 With a good patio, there should very rarely be a day when you are not out there at some point, enjoying it. 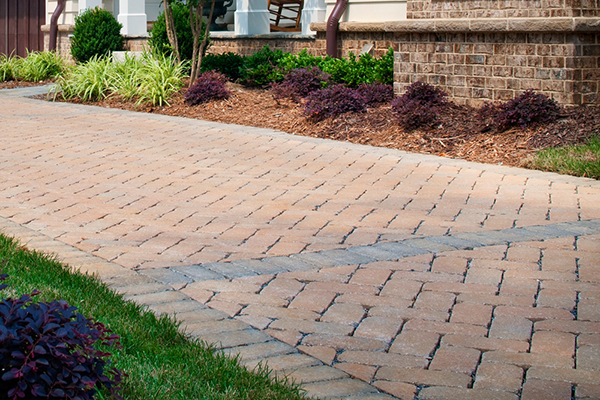 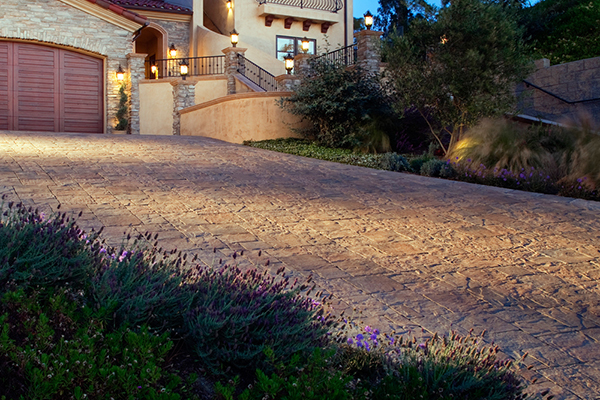 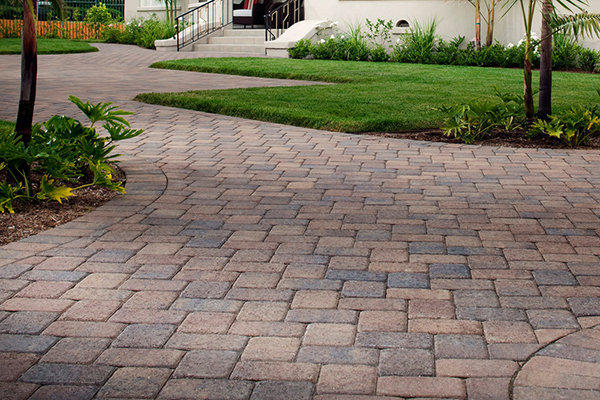 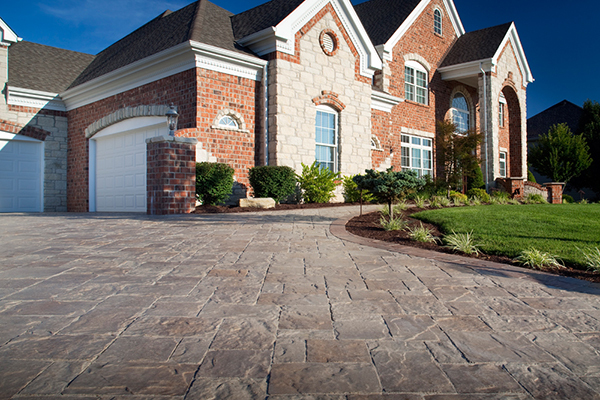 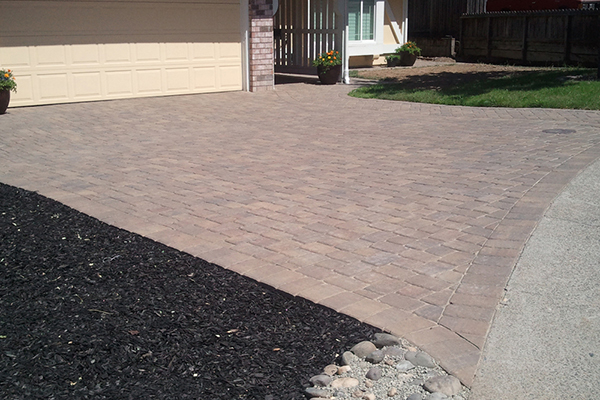 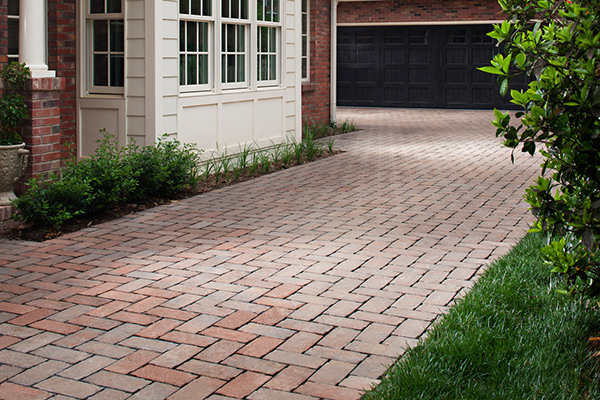 With low-maintenance paving stones, you get major curb appeal improvement. 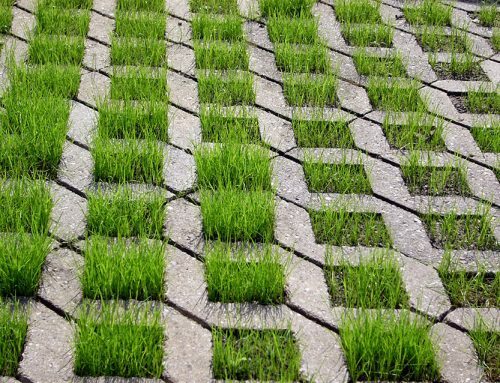 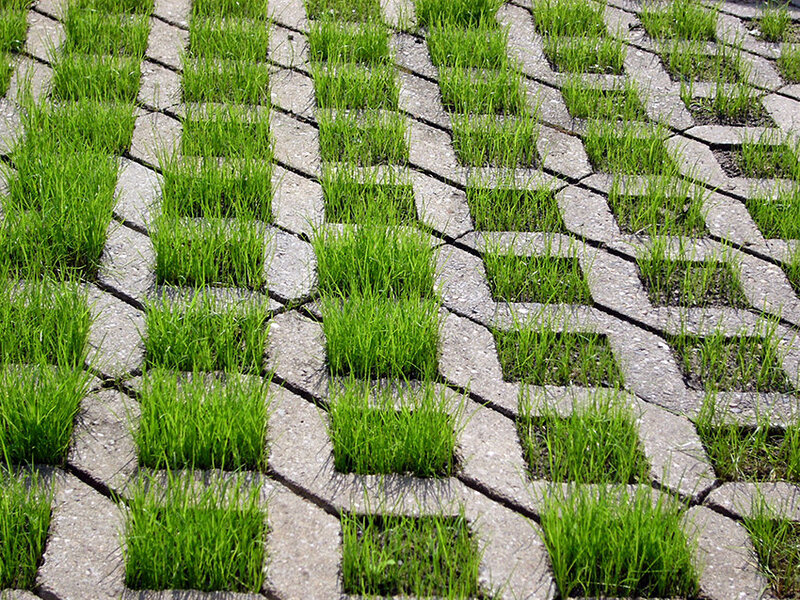 Not only are paving stones unlikely to break or be damaged, but they are easy to keep weed-free. 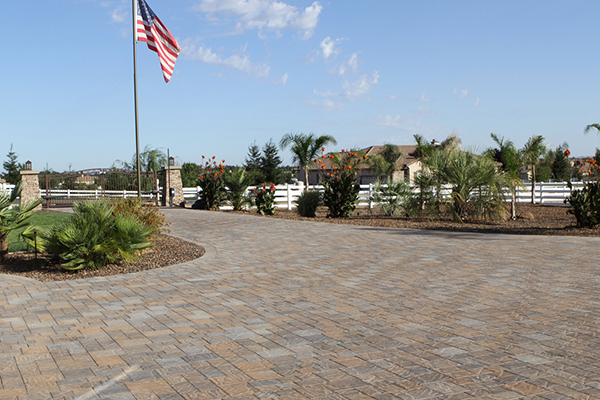 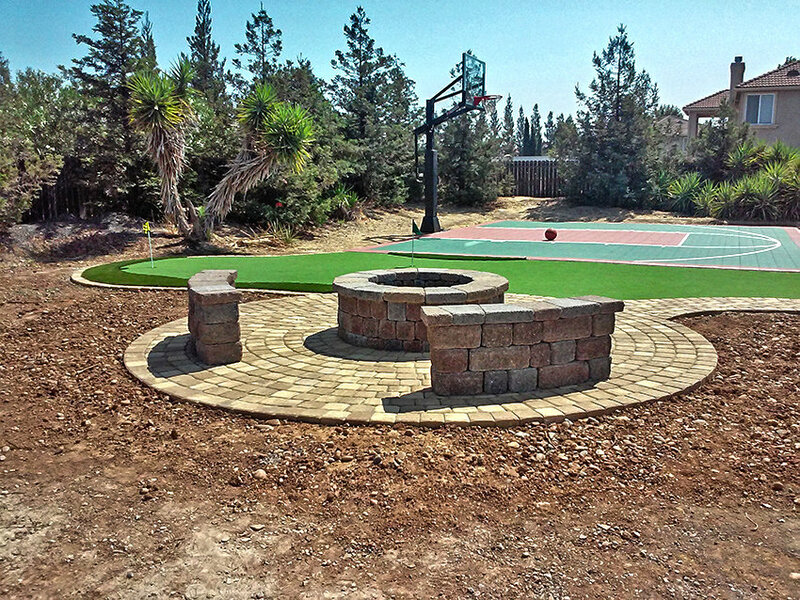 These are just some of the reasons why so many professional landscapers and homeowners alike choose The Paver Company for their landscaping needs.